I recently attended Formnext 2018, probably the world’s largest trade show for the 3D Printing industry, and what a trade show it was. Held at the Frankfurt Messe, it was as grand as you would expect. The annual event is organised by the same team that manage the TCT show in Birmingham’s NEC, each year. While the TCT show leaves you almost disappointed as it struggles to fill its large venue, Formnext is the opposite. The event fills two floors of Messe’s Hall 3, with no space to spare. Every manufacturer is there from all over the world, along with many companies supporting the industry, from analysis software to post-process services. Last year, I only attended for a day and it was nowhere near enough! This year I went for 2 full days there – and that still wasn’t enough time, the show runs for 4 days! That said, I was left a little disappointed – not much wowed me. In fact, only one thing really caught my eye, but I’ll come back to that later. As you walk around looking at the various manufacturers and their processes, you quickly become aware that the samples shown of applications are all very similar and have been seen many times before. This leads me to believe that the applications for 3D Printing are leveling out and the adoption of it, as a manufacturing process, are more widely accepted. I thought the same at last year’s show. There was a real emphasis on metals and how the process is now being industrialised and, again, being accepted as a manufacturing process. To label metal processes as 3D Printing, as many exhibitors chose to, seemed a little, well, wrong. In fact, the industry prefers to call it Additive Manufacturing, and rightly so. The technology behind these systems is very impressive and very expensive. At Prototype Projects, we have been asked several times by clients to provide a quote to ‘3D Print’ a part in metal. When we ask why, the answer is always the same: I need it quick and cheaply, so I thought 3D Printing would give me that. Sometimes that might be the case, but honestly, it’s not very often. As a service bureau, we don’t have a specific application. Our clients might, but they might not be thinking of the process to solve any issues they may or may not have. 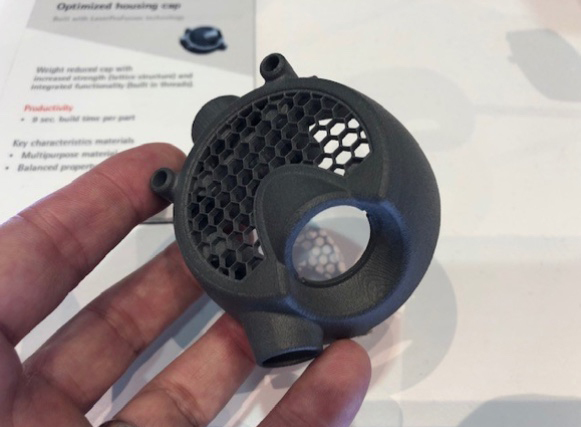 As many of our clients are technology consultants who solve problems for their clients, the need for metal additive manufacturing will not come up every day. So, engineers… for 3D Printing in metal, beware! Designing a part for metal printing is not like designing a part that will be CNC machined. If you have designed your part for CNC, use CNC to make the part. 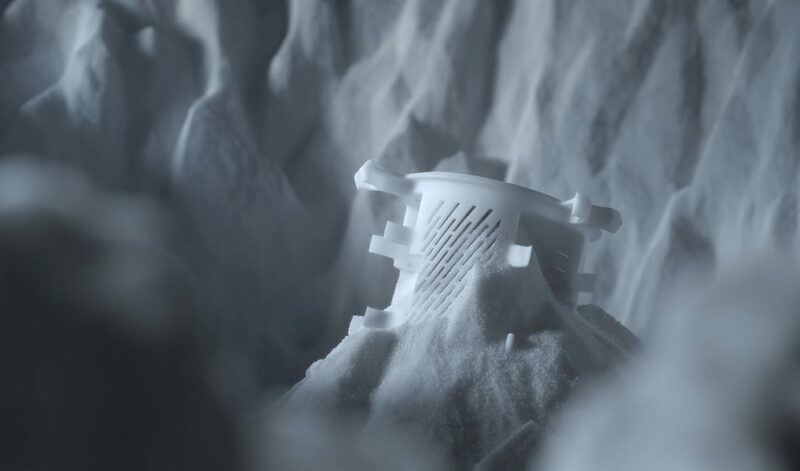 You will need design advice from an expert who has experience in the process, and don’t forget: parts designed for additive manufacturing will still need to be prototyped! Now, back now to what impressed me. Although still in development, EOS Gmbh announced a new process at Formnext. The process, called LaserProFusion, harnesses the power of one million diode lasers. 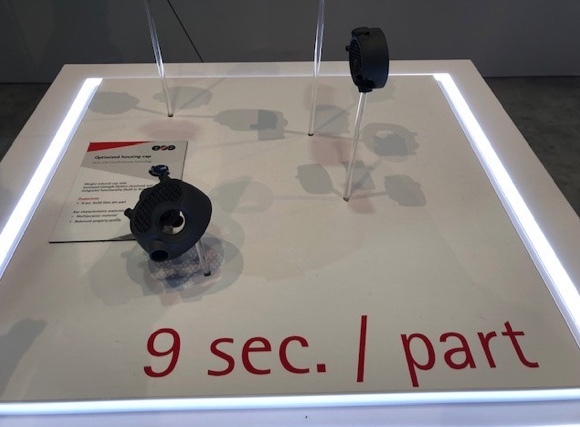 The polymer part EOS were displaying demonstrated the new process, which is game changing: the part only took 9 seconds to print! EOS are looking to truly compete with the injection moulding process. With no tooling or design restrictions for tooling, it won’t replace injection moulding, but it will have its place and it will be a very valuable process. I will definitely be going to Formnext again, next year. I love the industry that we are in; it’s not new and the hype over 3D Printing has well and truly gone (and so much for the better!). If you are from the UK and have only been to the UK trade shows, then I strongly recommend a trip to Formnext, it is so much more… Maybe see you there next year!